NVUS DÉCOLLETÉ AWARENESS CREAM is our proprietary silky-textured anti-aging cream specifically formulated for the neck and décolleté region. Infused with 15+ carefully extracted and exceptionally potent Ayurvedic and other botanical extracts and 3 bio-active peptides, it reduces sagging by stimulating collagen synthesis and boosting skin elasticity.The unique formula works powerfully to diminish the appearance of wrinkles and fine lines and to promote a noticeably smoother, brighter, and healthier looking neckline. 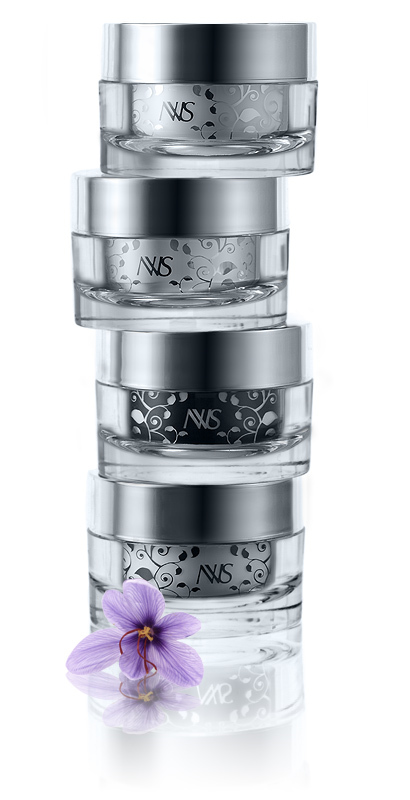 NVUS melds optimal concentrations of carefully extracted and exceptionally potent Ayurvedic botanicals with cutting-edge peptide technology to create anti-aging creams that are guaranteed to make you look younger. Copyright© 2019 - NVUS INC. All Rights Reserved. ® The NVUS Logo is a registered trademark of NVUS Inc.